Top 20 Smartphone Brands in Pakistan. Samrtphone is the need of the day and in Pakistan we can see each and every person either rich or poor has a smartphone to fulfill his/her communication needs. A smartphone is a handheld and is completely just like a personal computer. The first handheld mobile phone was revealed by John F. Mitchel and Martin Cooper of Motorola in 1973, using a handset weighing c. 2 kilograms. A Smartphone keeps wide computing competencies, including digital cameras, Wi-Fi, Bluetooth, touch key board, Google paly store, apps, operating system, video games, mp3 players, video players, web browsers and much more. In Pakistan the smartphone market is progressing rapidly and a number of mobile manufacturing brands are launching their devices in the country with outstanding features and affordable price tag. Today in this article we will talk about the top 20 smartphone brands in Pakistan that are offering the most affordable smartphones with outstanding and latest features. Samsung is the renowned and top selling smartphone brand not only in Pakistan but also across the world. The brand launches a huge bundle of devices throughout the year across the world and always launch the Galaxy series smartphones with latest features and technology. Samsung had started operating back in 1938 in South Korea and launched its first ever Android smartphone in 2009. 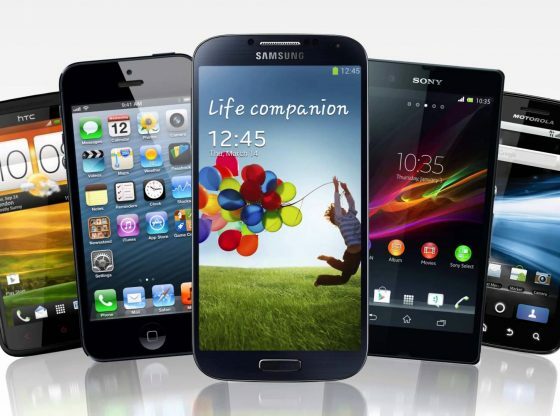 The Samsung Galaxy and Note devices are very much popular among users. Samsung is offering bit expensive smartphones but these devices have latest technology and advance features infused in them. The Samsung J series smartphones are also famous in Pakistan and available at most affordable prices. Samsung annually shop approximately 300 million units. Apple is the most popular smartphone brand in Pakistan. This smartphone brand in famous for the iPhones. People in Pakistan are also found of Apple iPhones and try to grab their hands on the latest devices by the company as people are crazy about the iPhone X. Apple has its strong presence in 40 countries with 100 exclusive stores in 15 different countries. Apple annually sold nearly 200 million units in the world. Huawei is another most famous smartphone brand in Pakistan. Established in 1987 Huawei Technologies Co. Ltd. was established in Shenzhen, China. The smartphone maker is also launching its latest devices in Pakistan with latest features and advance technology. Huawei is annually selling the 100 million units across the world. It’s a Chinese smartphone brand famous for its selfie oriented smartphones. Oppo was founded in China in 2001 the company’s slogan “The Art of Technology” become most famous and participates a lot in its success. Oppo has launched lots of selfie expert smartphones including F3, F3 Plus, OPPO R7, Joy etc. Oppo has been operating in approximately 20 countries and selling about 50 million units in a year. In Pakistan Oppo is very much popular among users for its selfie oriented qualities. Lenovo is a name of reliable and best performance smartphones. Founded in Beijing in 1984, the company is a subsidiary of Motorola and sells about 70,000 units annually. Lenovo’s latest mobile launch is the A5 smartphone. HTC is a Taiwanese consumer electronics company, founded in 1997. The company is dealing with the Smartphones HTC Cameras, Tablets, Fitness accessories and much more. Earlier HTC had launched the window phones but later decided to introduce the Android phones. HTC smartphones are very much popular in Pakistan and are available in cheap prices. Established in 2010 the smartphone brand Xiaomi working strongly to hold its grip in the smartphone market. Xiaomi is a chines smartphone manufacturer and is offering Mi Series, Mi Note Series, Mi Max Series, Mi Mix Series and the Redmi Series. The Xiaomi smartphones are very much popular in Pakistan and people love to buy them due to their affordability. The company is selling nearly 65 million devices annually. Sony is the Japanese electronics company founded in 2001 with the collaboration of Sony Ericson. The company is selling the consumer and professional electronics, gaming, entertainment and financial services. Sony is famous for TV and also for its Xperia series smartphones. The company has sold 1.6 million devices last year. LG Electronics Inc. is a South Korean electronics company that is popular for making G-Series, the K-Series, LG Tribute, the LG G Flex and the LG Nexus devices. The company is selling 60 million units a year. Besides launching smartphone the LG is the world’s second-largest television manufacturer. Vivo is also a Chinese smartphone manufacturer that is operating since 2009. The company is a subsidiary of BBK Electronics and has a vast range of products including Smartphone, peripheral mobile devices as well as software. Vivo is eminently dealing with the three main series including X series, Y series and V series smartphones to target the high, medium and low end users. The company is selling nearly 45 million units annually. Club is one of the renowned mobile phone brands in Pakistan with feature phones, mid-range smart phones, and high end smartphones for the customers. This is also a Chinese based mobile manufacturing company that is offering the series of models including Club A-1, Club A-2, and many more. The interested users can purchase the Club mobiles in affordable prices. Motorola is an American multinational telecommunications company founded in 1928. The company is dealing with the Moto series smartphones and recently launched the Motorola Moto Z3 play smartphone. Panasonic Corporation is the Japanese electronics company, formerly known as Matsushita Electric Industrial Co., Ltd. The company was founded in 1918 and in 2008 it was given the name Panasonic Corporation. Panasonic is offering a wide range of products and services including televisions, personal computers, mobile phones, home appliances, audio equipment, cameras, projectors, automotive electronics, and smartphones. The company has recently launched the Toughbook FZ-T1 smartphone in June 2018. Meizu is a Chinese consumer electronics company. 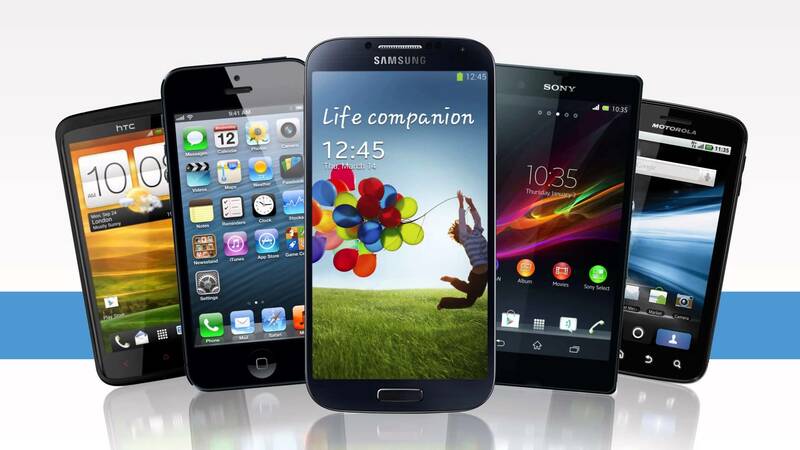 Established in 2003 the company is offering a wide range of smartphones. The has launched the four new smartphones in Pakistan this year including the Meizu M6 and M6 Note Plus, Meizu Pro 7 and Pro 7 Plus. Infinix is the Hong Kong-based smartphone manufacturer company. Founded in 2012 the company has its research and development centres in Paris and Shanghai and is operating in 30 countries in the world. Infinix is dealing with the product lines including ZERO, NOTE, HOT S, SMART and HOT S3. The Infinix smartphones are available in Pakistan in affordable price. Acer is a Taiwanese multinational hardware and electronics corporation. Established in 2000s Acer’s products include desktop PCs, laptop PCs, tablets, servers, storage devices, virtual reality devices, displays, smartphones and much more. ZTE is also a Chinese mobile phone manufacturing company. Established in 1985 ZTE is offering feature phones, telecom services, tablets, and smartphones. The company is selling about 55 million units annually. Alcatel is operating since 2005. It is also a Finnish electronics company that has its presence in 170 countries of the world. This smartphone brand is selling approximately 50 million units in a year. Alcatel is dealing with the Pixi, Idol and Pop series of smartphones that are also available in Pakistan at very cheap price. So readers these were the top 20 smartphone brands in Pakistan that are offering high end and low end devices to cater the needs of all type of users. 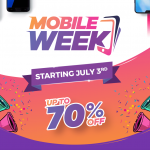 You can easily purchase the smartphones of these brands easily by visiting the outlets and also doing online shopping in Pakistan. Top 20 Smartphone Brands in Pakistan. Samrtphone is the need of the day and in Pakistan we can see each and every person either rich or poor has a smartphone to fulfill his/her communication needs.